for children ages birth to five years old. 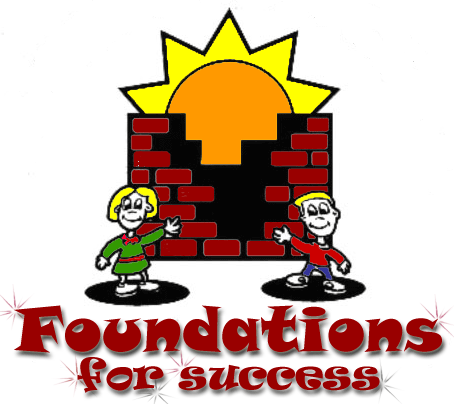 Foundations for Success classes and programs are open to families with children under the age of 5 years who live in the Triad School District. The Pre-K 3-5 program is funded annually by the state of Illinois as part of the Preschool for All Initiative. The program supports students district-wide, so our task is to enroll those three- and four-year-olds for whom we can make the biggest difference in terms of school readiness. To identify those children, we conduct play-based developmental and environmental screenings during the year at Wakeland Center. The Triad District holds Pre-K Screenings during the school year and are open to all children who live in the Triad School District. For more information regarding pre-school screenings, or to schedule an appointment, please call 667-5401 and speak with one of the secretaries. Pre-school classes meet 5 days a week, from 8:45-11:15am OR 12:35-3:05 pm at Henning Elementary for all students. Each classroom has a maximum of 20 students and 1 teacher and an aide. Some students receiving special education services are blended into each Pre-K classroom as appropriate. The Early Childhood Special Education (ECSE) classrooms are supported by state and federal funding through the Triad School District. Students enrolled in these classrooms are eligible for special education services through an Individual Education Plan (IEP) and require a smaller class size to get the most out of their classroom experiences. Speech, occupational, physical and ABA therapies are provided as necessary and appropriate. Each classroom has a maximum of 10 students and at least 1 teacher and 1 aide. Classes meet 5 days a week, from 8:45-11:15am OR 12:35-3:05pm at Henning Elementary. The Birth-3 program is funded annually by the state of Illinois as part of the Prevention Initiative. The program serves families with children under the age of 3, starting prenatally. It is a 12-month voluntary, home visiting program in which each enrolled family has weekly or bi-weekly home visits with a certified parent educator. Visits follow the Parents as Teachers curriculum with activities that focus on child-centered parenting, parent and child interactions, and family well-being. Health and developmental screenings are conducted as part of enrollment. Support services include health, developmental and social service referrals, and transitioning into the Pre-K program at 3 years of age. The Triad Staff/Tuition Preschool and Daycare program is designed around the needs of Triad staff members with children between the ages of 3 and 5 years old. There are currently two classrooms with a maximum enrollment of 20 students per classroom. However, when staff members do not fill the class, spots are opened to the community. The classroom at Silver Creek Elementary is open 5 days a week, from 7:00am to 4:30pm. Daycare services with certified classroom aides are provided before and after the regular preschool hours of 8:45am-3:00pm. The Staff/Tuition classroom is aligned with the Triad School District calendar: Preschool class when K-12 students are in school, closed on all school vacations and holidays but is open for all full day daycare on days that Triad teachers report for work (Teacher Institutes, Parent-Teacher conferences and School Improvement Days). Tuition ($525/mo.) is collected at the end of each month on payday for staff for the following month, and the 1st day of the workweek at the beginning of the current month for community members. Non-staff reservations are taken year round but registration begins in March for the following school year. Potential students will need to attend a Pre-K screening session (occurs 3 times a year, by appointment) before registration. Contact Chris Schomber, Assistant Principal at Silver Creek Elementary (667-5404x5132 or christopher.schomber@tcusd2.org) for additional information or to be placed on the reservation list for the current or upcoming school year.